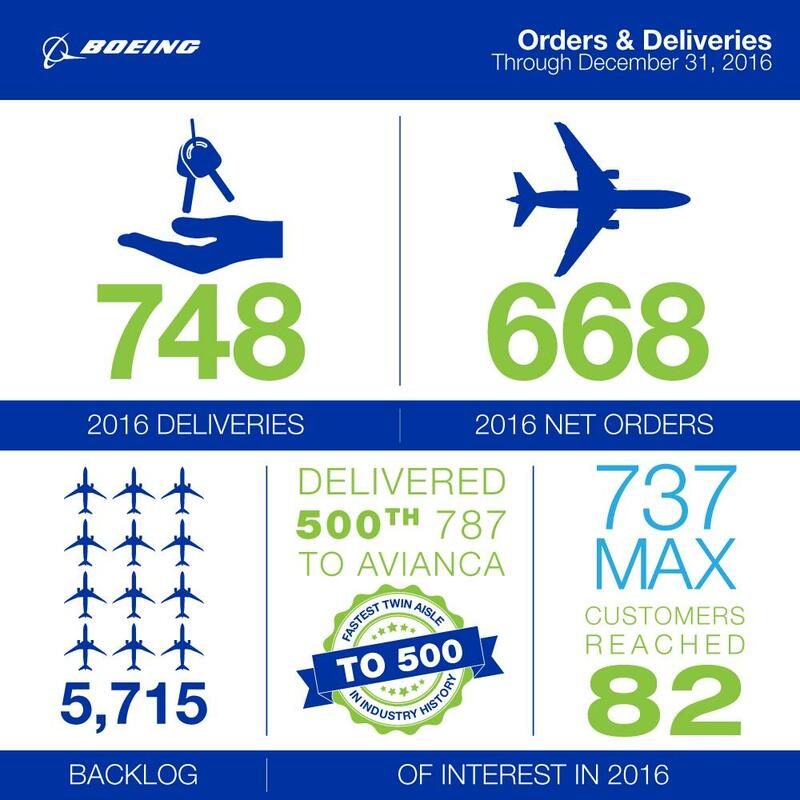 SEATTLE, Jan. 6, 2017 recorded strong commercial delivery numbers in 2016 and achieved several airplane program milestones. The company delivered 748 commercial airplanes. Boeing booked 668 net orders, valued at $94.1 billion at list prices. The backlog at the end of the year stood at 5,715 unfilled commercial orders. Airplane development programs continued to make progress in 2016. Key milestones for the year included the first flight of the 737 MAX, the opening of the 777X Composite Wing Center in Everett, Wash., and start of 787-10 final assembly in North Charleston, S.C.
A detailed report is available on Boeing's Orders and Deliveries website.